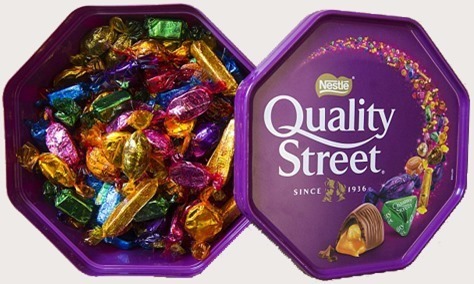 Quality Street is a popular selection of individual tinned or boxed toffees, chocolates and sweets, produced by Nestlé. 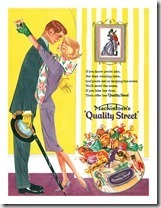 Quality Street was first made in Halifax, West Yorkshire, England in 1936. It was named after a play by J. M. Barrie. 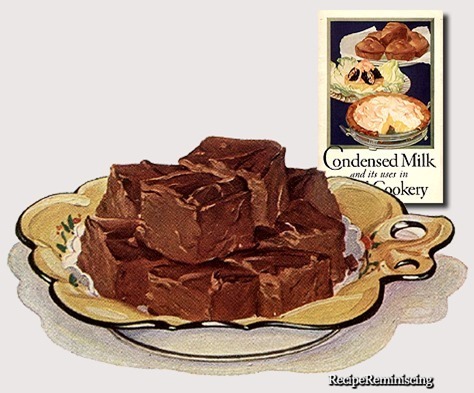 In 1890 John Mackintosh and his wife opened a shop in Halifax, where they created a new kind of sweet by mixing hard toffee with runny caramel. 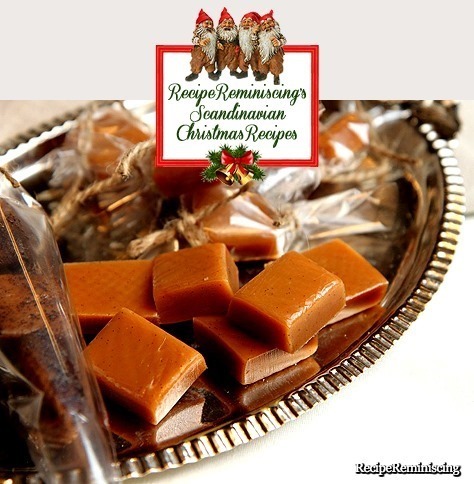 These toffees were made from inexpensive local ingredients such as milk, sugar beets and eggs. 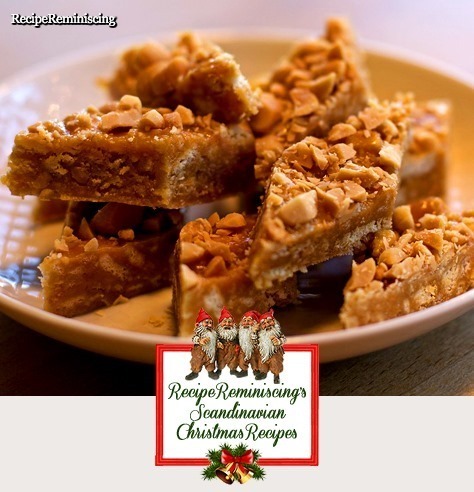 They were so successful that in 1898 they expanded the operation to build the world’s first toffee factory. It burned down in 1909 so John bought an old carpet factory and converted it into a new facility. 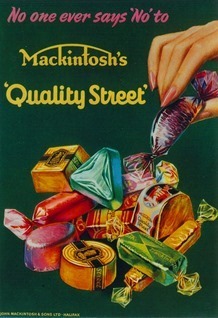 When John Mackintosh died his son Harold inherited the business and in 1936 he invented Quality Street. The name was inspired by a play of the same name by J. M. Barrie. 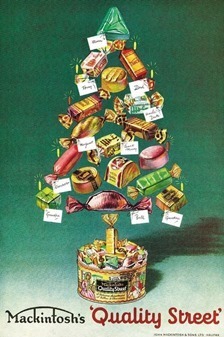 In the early 1930s only the wealthy could afford boxed chocolates made from exotic ingredients from around the world with elaborate packaging that often cost as much as the chocolates themselves. 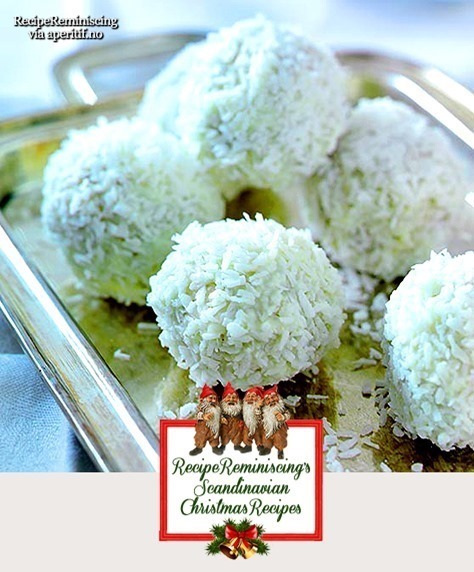 Harold Mackintosh set out to produce boxes of chocolates that could be sold at a reasonable price and would, therefore, be available to working families. 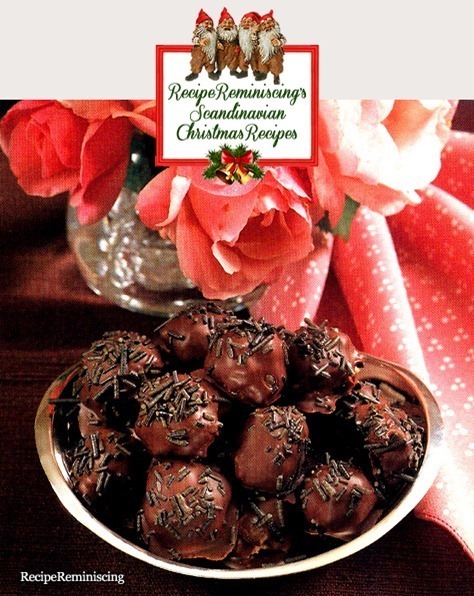 His idea was to cover the different toffees with chocolate and present them in low-cost yet attractive boxes. Rather than having each piece separated in the box, which would require more costly packaging, Mackintosh decided to have each piece individually wrapped in coloured paper and put into a decorative tin. 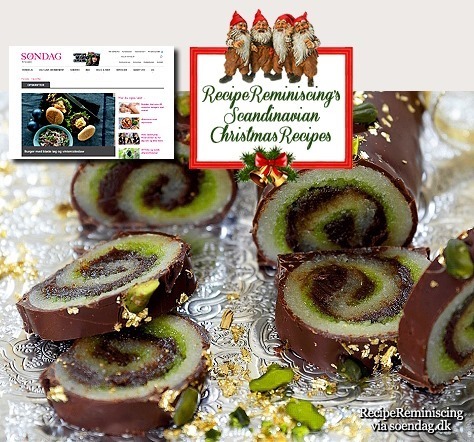 He also introduced new technology, the world’s first twist-wrapping machine, to wrap each chocolate in a distinctive wrapper. 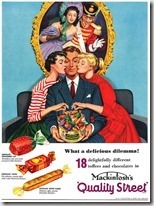 By using a tin, instead of a cardboard box, Mackintosh ensured the chocolate aroma burst out as soon as it was opened and the different textures, colours, shapes and sizes of the sweets made opening the tin and consuming its contents a noisy, vibrant experience that the whole family could enjoy. In the mid- to late 1930s, Britain was still feeling the effects of the economic crash and Mackintosh realised that in times of economic hardship and war, people crave nostalgia. 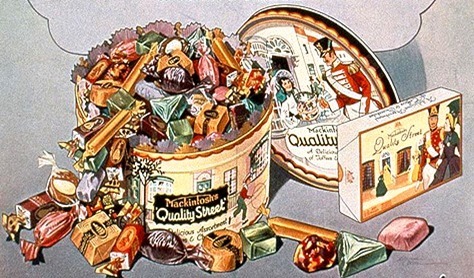 Quality Street chocolates were, therefore, packaged in brightly coloured tins featuring two characters wearing Regency era dress, known affectionately as Miss Sweetly and Major Quality. 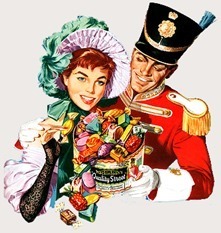 ‘The Major’ and ‘Miss’, inspired by the play’s principal characters, appeared on all Quality Street boxes and tins until 2000. The original models for the pair were Tony and Iris Coles, the children of Sydney Coles who designed the advertising campaign that first appeared on a front page newspaper advertisement in the Daily Mail on 2 May 1936. Individual larger versions of the more popular chocolates are now manufactured and sold separately, as an extension to the brand, such as a bar based on the Purple One. 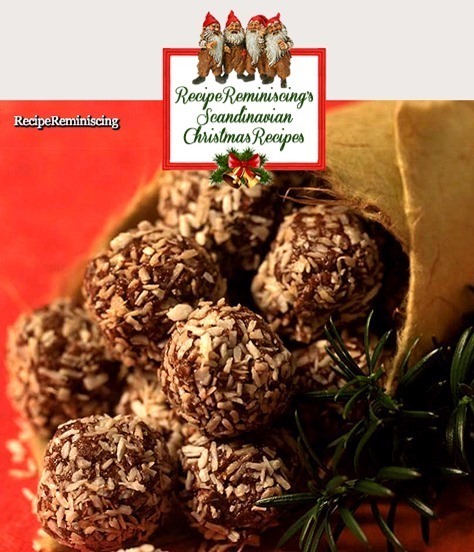 In Western Norway, Quality Street is called “Shetlandsgodt” or more commonly “Shetland Snoop” (snoop is Norwegian slang for sweets), because it often was brought home by fishermen visiting Shetland. In Iceland it is traditionally known as “Mackintosh”. Quality Street gained the implied endorsement of Saddam Hussein when the Iraqi dictator was reported to have offered them to visiting British politician George Galloway in 2002. Nestlé were initially positive, but then chose to backtrack about the connection. It is generally thought that jelly beans first surfaced in 1861, when Boston confectioner William Schrafft urged people to send his jelly beans to soldiers during the American Civil War. It was not until July 5, 1905, that jelly beans were mentioned in the Chicago Daily News. The advertisement publicized bulk jelly beans sold by volume for nine cents per pound, according to the book The Century in Food: America’s Fads and Favorites. Today, most historians contend that jelly beans were first linked with celebrations of Easter in the United States sometime in the 1930s for their egg-like shape. 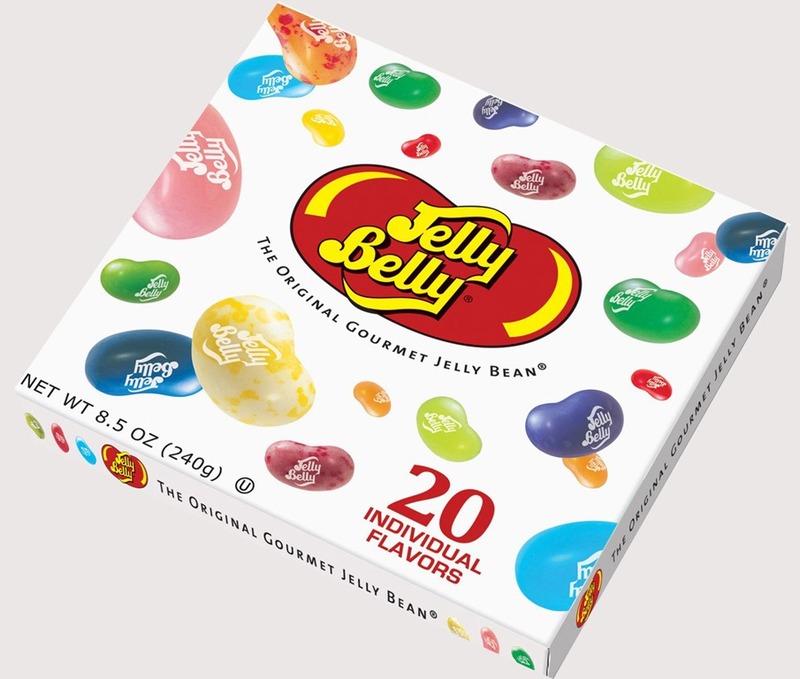 The American National Jelly Bean Day is on April 22. 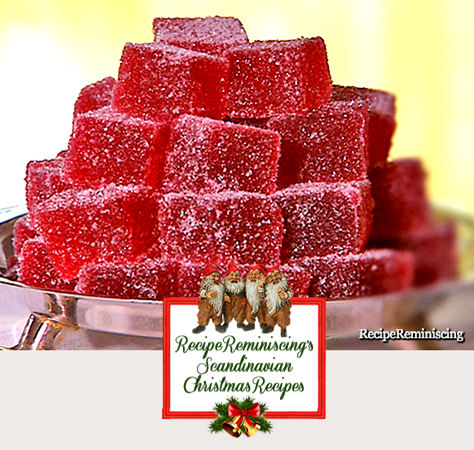 The basic ingredients of jelly beans include sugar, corn syrup, and pectin or starch. 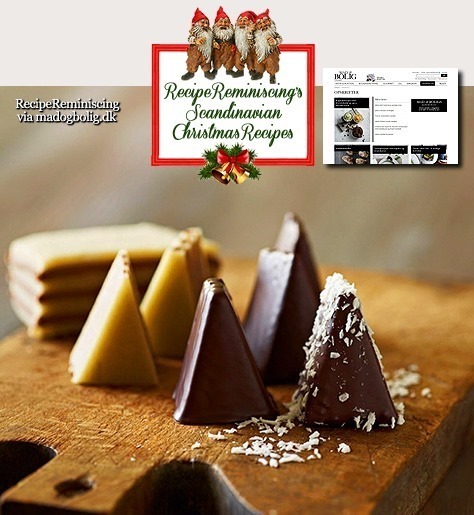 Relatively minor amounts of the emulsifying agent lecithin, anti-foaming agents, an edible wax such as beeswax, salt, and confectioner’s glaze are also included. 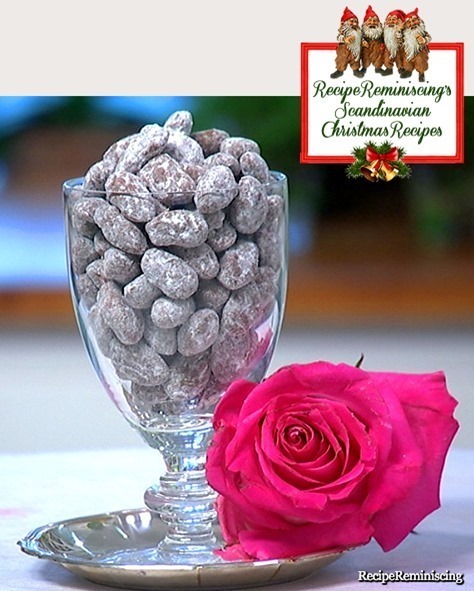 The ingredients that give each bean its character are also relatively small in proportion and may vary depending on the flavor. Most jelly beans are sold as an assortment of around eight different flavors, most of them fruit-based. 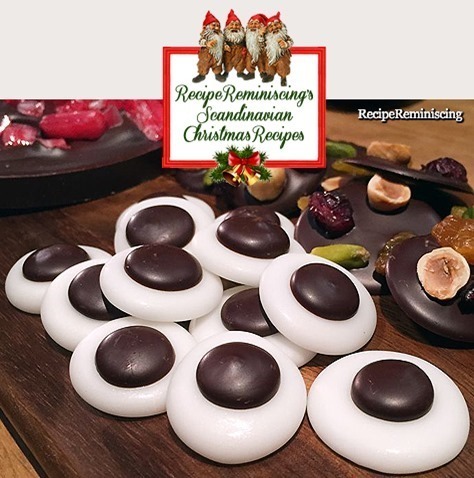 Assortments of “spiced” jellybeans and gumdrops are also available, which include a similar number of spice and mint flavors. The colors of jelly beans often correspond with a fruit and a “spiced” flavor. 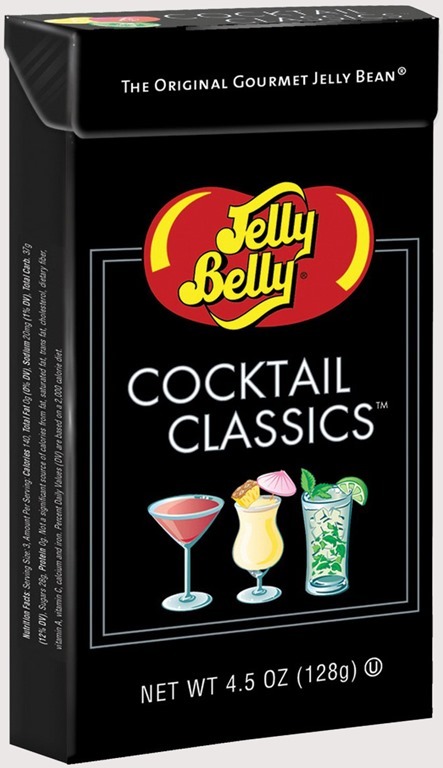 Some premium brands, such as Jelly Belly and The Jelly Bean Factory, are available in many different flavors, including berry, tropical fruit, soft drink, popcorn, licorice, and novelty ranges, in addition to the familiar fruit and spice flavors. 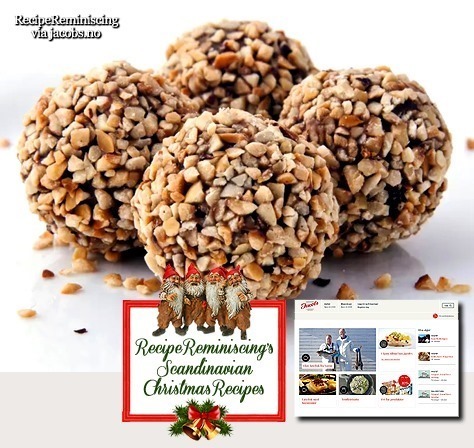 While these are also sold as assortments, individual flavors can be individually purchased from distributors. 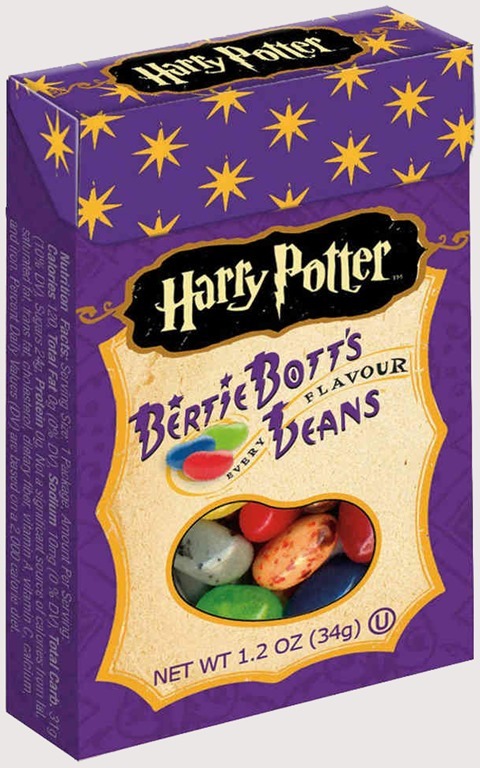 A version of the Bertie Botts Every Flavor Beans from the Harry Potter series was made commercially available and included flavors described as earwax, dirt, pepper, and vomit. In the electronics industry, a “jelly bean” component is one which is widely available, used generically in many applications, and has no very unusual characteristics—as though it might be grabbed out of a jar in handfuls when needed, like jelly beans. For example, the μA741 might be considered a jelly bean op amp. In United States slang in the 1910s and early 1920s, a “Jellybean” or “Jelly-Bean” was a young man who dressed stylishly to attract women but had little else to recommend him, similar to the older terms dandy and fop and the slightly later drugstore cowboy. 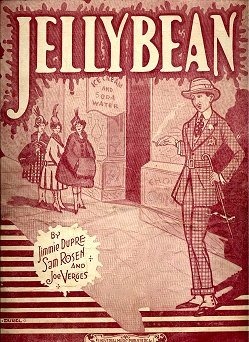 F. Scott Fitzgerald wrote a story about such a character, The Jelly-Bean, in 1920. 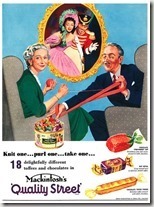 In William Faulkner’s 1929 novel The Sound and the Fury, Jason complained bitterly about his niece Quentin’s promiscuity, remarking that even “the town jellybeans” gave her the “go-by”. The song “Jelly Bean (He’s a Curbstone Cutie)” was made popular in the 1940s by Phil Harris. It was written by Jimmie Dupre, Sam Rosen, and Joe Verges and published in New Orleans in 1920 by Universal Music Publishers, Inc.